From now on... at least until further notice... the blog that has been hosted here can now be found at anthony.thefaithpath.com. Please make any changes to bookmarks as necessary. Thank you and look forward to seeing you on the faith path. One of the most common New Year’s resolutions that people make each year is to get in shape or exercise. It is important that if we want to live a productive life that we make sure that we are as healthy as we can be. Paul told Timothy in 1 Timothy 4:8 that physical exercise was good but that spiritual exercise would benefit us for eternity. In Philippians 2:12, Paul tells the Philippian believers to “work out your salvation with fear and trembling.” Notice that he does NOT say to work for your salvation. Salvation is a gift of God’s grace to us. We can do nothing to earn it or deserve it. While salvation is a gift of grace, it is a gift that is to be opened and put in to use. There are so many things about this gift of salvation that people who put their faith in Christ receive that we are to experience. 1) Forgiveness and Freedom from past sins. 2) A future home in heaven with our Lord forever. While this gift has these wonderful benefits, it also has something for us today: victory and joy. These things can be missed by those who are not seeking to do what Paul talks about here in working out our salvation. God intends us not to just receive this gift, but He wants us to open it and experience all it has to offer. Paul said first that we should work out our salvation with fear. This is the idea of reverence. We must be sure to remember where this gift came from (God). We should live each day in reverence of who He is. When you see God as He truly is, there will be a reverence in your life towards Him. Paul says second that we should work out our salvation with trembling. This is not saying that we are to be scared and shaking in fear. The meaning of this word is “seriousness.” Too many times people do not take God serious. This is a result again of not understanding who the giver of the gift of salvation is. How Do We Work Out Our Salvation? Just as there is nothing that we can do to earn salvation, there is no power within us to fully open up and experience this gift of salvation for today. God gives the gift and begins a work in us that helps us experience the fullness of salvation. It is interesting that Paul uses the phrases “grumbling” and “disrupting” here. Grumbling has to do with complaining. When grumbling is present, it reveals a selfish nature that is not part of God’s desires for our lives. We grumble and complain when things aren’t going the way that we want them to go. Following the Lord’s lead may take you in a direction that you would not want to go. Disrupting has the thought of arguing about a difference of opinions. We all have opinions on matters. We will stand strong for our opinions. God has given us clearly in His word the line of truth. These are the things that we should stand strong on. We have to remember that while our opinions may mean a lot to us, they are not gospel. A final way that Paul shows us to work out our salvation is by holding fast to the word of life. This means to hold firmly to the Word that God has given us. He has given us both His written word (the Bible) and the living word (Jesus). If we want to experience all that this salvation has for us, we are going to have to cling to the Word of God. There are many things in this world that will fight for our attention and devotion. The Word of God is the single thing in the universe that can lead us and guide us to experiencing the fullness of the salvation that we have received from the Lord. This gift of salvation is one gift that is way more than we could ever imagine. It has components that deal with our past, present, and future. If we are going to fully experience this gift and all that it has to offer, we have to allow it to do its work in our lives today. Book Review: "The Dude's Guide to Marriage"
It is no secret that as you look around our society, the marriage relationship is coming under fire from many different directions. This sacred institution is the heart of a society, and it is definitely worth the risk, effort, and whatever else to protect and make as healthy as possible. If this precious relationship is not protected and strengthened, then it will be the Achilles' heel of our society. Darrin and Amie Patrick have put together a work that is intended to help the men in these relationships understand a little of what is expected from the other side of the relationship. The Dude's Guide to Marriage: Ten Skills Every Husband Must Develop to Love His Wife Well is this work. I had the privilege of being asked to write a review about this book, and that is what I intend to do here. One of the big things that I really enjoyed about reading this book was the fact that it was not just some guy writing to a bunch of other guys about what we should be doing or like. The Patricks work together to speak to guys to help them see what the other side of the relationship is looking for. This is huge because there are many times where we "don't get it." We need someone to just shoot straight and show us what they are looking for. By this couple teaming up, the reader (intended to be men) gets a wife's perspective on issues that helps clarify some things greatly. It was a great move to allow Amie Patrick completely write the chapter on pursuing your wife. 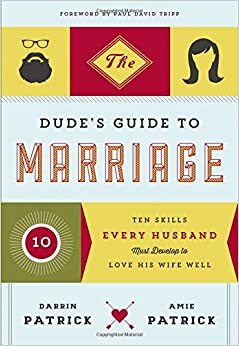 I really wondered about how well this would be because to cover ten topics on marriage for men and the book is only about 200 pages, I wondered if it would be like skipping across the top of a lake. I came to find out that it was not that at all. The Patricks carefully take us beneath the surface on these important issues and provide helpful, Bible-driven points to strengthen these areas. I will admit that as I began reading this book, I thought that it was intended for those who were preparing for marriage. Some of the chapters were bent this way, but many of them applied to those of us who have been married for some time. At first, I felt that this was a little confusing, but now I see that as a great benefit of this book. It can be used by men no matter what stage of life they are in. I would highly recommend this book to any man out there. Darrin and Amie Patrick have done a fantastic job in putting together some timeless wisdom in a way that is easy to work through. It is straight to the point. It will cause you to think and help move you to become the man that will love his wife well. As I was reading in my Bible recently, I came across a verse that spoke to me in a brand new way. That verse is the one in the image above (3 John 1:4). I cannot count the times that I have heard this verse in a Bible study or sermon. I have had it highlighted in many of the Bibles that I have owned. What was so different this time of reading? The difference was that I was not thinking of it as a pastor but as a parent. When John first penned these words back in the first century, it seems as though he was writing about those he had seen come to faith in Christ. He viewed his relationship with them as that of a parent. It is good to think about it that way. But this verse spoke to me and I thought about the three boys that God has so richly blessed my wife and I with. I was immediately drawn to pray this for my boys. I want them to know the Truth (Jesus Christ) in a powerful way. I truly believe that there would be few things in life that would make me truly happy than to know and to hear from others about how my boys are walking/following Christ. 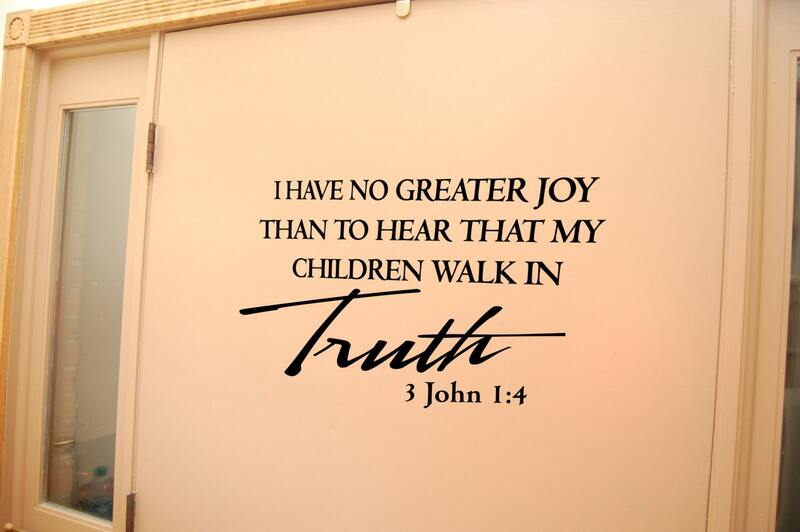 If you know someone who has children and they are walking in the truth of Jesus Christ, let their parents know. You will bring them a joy like nothing else can. Merry Christmas wishes to you and yours. 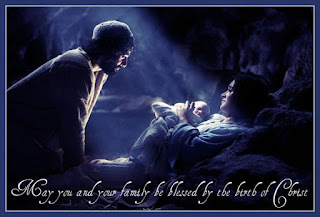 May the Lord bless you richly as you remember the greatest gift that was ever given: Jesus Christ.